Made with corvina and merlot grapes from 30 year-old vines, this is a wine of real intensity and character, and one of our most popular wines. 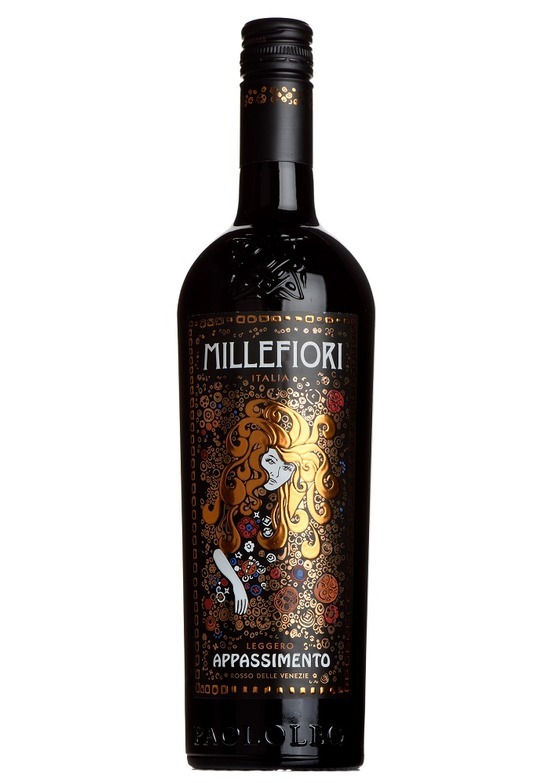 60% of the grapes for Millefiori are carefully dried for a period of two months, and added to the blend after vinification, resulting in enormous concentration of aroma and flavour. Vibrant red and black berry fruit are evident on the nose, with pronounced notes of cherries, damsons and plums. 12 months ageing in French and American barriques adds flavours of exotic spice, coffee and dark chocolate to the luscious, supple blackberry fruit. There is a dark, brooding character to the palate, with noticeable weight enhancing a very moreish, velvety texture but all the time balanced with real class and elegance.